Amazon is offering 80% off select products from LOVINLAND with promo code 80RIO5MP through 1/23. This includes portable closet systems and prices start at only $23 with this awesome discount!!! 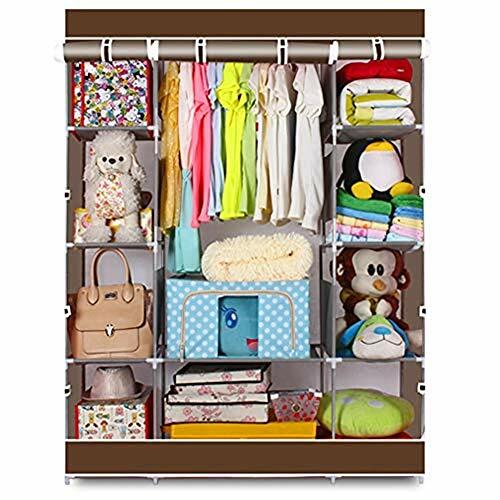 For example, the Portable Closet Wardrobe 4 Layer Clothes Organizer Metal Shelf Cabinet with Non-Woven Cover Coffee is priced at $115.99. Get 80% off with code 80RIO5MP and score this for only $23.20 with free shipping. NOTE – this pricing does NOT include the 80% discount! !